The Q-methodology was initially developed by William Stephenson (Stephenson, 1953) in order to inspect peoples' views about a target topic. In this sense, Stephenson highlighted the importance of capturing subjectivity as a strategy to identify groups of individuals sharing the same point view. This is the outcome of the inverted factor analysis, the technique developed by Stephenson to recognise these views. The letter Q only indicates an alternative to the R methodology, which represents the traditional set of quantitative techniques employed in main stream research. In over 80 years, this method has been used in various disciplines well beyond psychology, such as policy making studies, health studies, engineering, political science, education, environmental research, journalim, and so on (Brown, 1997). However, when reading papers on the topic, under the label 'Q-methodology' or 'Q-sort method', alternative practices are applied, making the comprehension of the method a bit obscure (Dziopa & Ahern, 2011). In a Q-sort, participants are asked to organise a per-determined number of statements (Q-set) into a set of piles/boxes. A Q-set, or a Q-sort deck, is composed by cards, and participants have to read them before sorting. Most of the time, only a fixed number of cards can be stored in a pile; for instance, in the box labeled 'Most Characteristic' (See picture) only three cards can be stored. This means that participants need to choose carefully those three cards they completely agree with. When large Q-set are employed, this sorting is preceded by an initial sorting where participants are asked to simply read the cards and store them into a small set of piles without restrictions (usually Agree, Neutral and disagree), in order to become familiar with the content of each card. As already mentioned, the Q-methodology is not always applied in a rigorous manner (Dziopa & Ahern, 2011), although clear directions and suggestions on how to apply this methodology are currently available (for example, Brown, 1980, 1996; Herrington & Coogan, 2011; see the links on the left), there are many examples of works and researches that share only some aspects of the original theory. In fact, it would be advisable to distinguish between the Q-methodology and other works that employ the Q-technique without embracing the theoretical framework. In some cases, these applications proved to be very prolific and they constituted a separate line of research (Block, 1961; 1971; Funder, 1988; Asendorpf, 1999; 2009). In line with the variety of possible applications of Q-methodology techniques, my aim is to offer a web application to promote research at all levels, with particular attention to academic research. 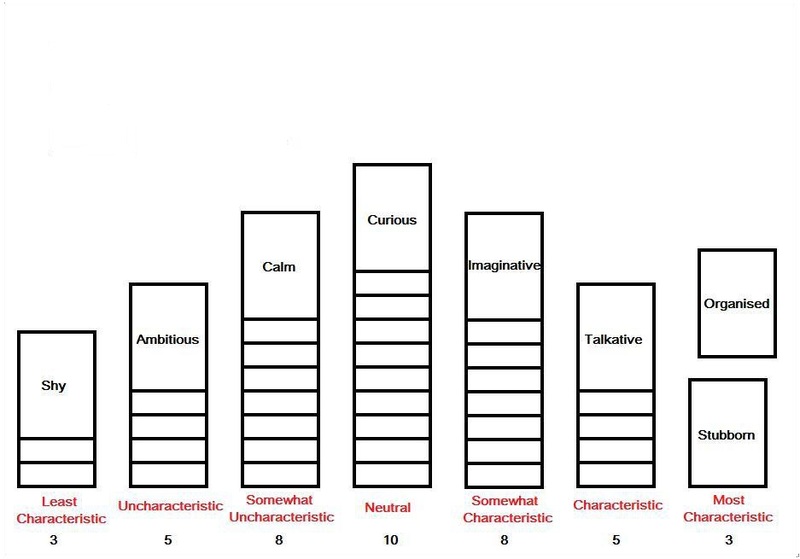 This is the reason why the Q-sorTouch and the Q-sortware allow the preparation of research designs using the Q-methodology as well as other Q-techniques only loosely associated with it, including the administration of tests with response formats (such as the Likert scale) commonly used in quantitative/qualitative research. Asendorpf, J. B. (2009). A person centered approach to personality and social relationships: findings from the Berlin relationships study. In L. R. Bergman (Ed. ), Developmental science and the holistic approach (pp. 281 - 299). Mahwah, NJ: Taylor & Francis. Asendorpf, J. B., & van Aken, M. A. G. (1999). Resilient, overcontrolled, and undercontrolled personality prototypes in childhood: Replicability, predictive power, and the trait-type issue. Journal of Personality and Social Psychology, 77(4), 815-832. doi: 10.1037/0022-3514.77.4.815. Block, J. (1961). The Q-sort method in personality assessment and psychiatric research. Springfieal, IL: Charles, C. Thomas Publisher. Block, J. (1971). Lives through times. Berkely, CA: Bancroft Books. Brown, S. R. (1980). Political subjectivity. New Haven, CT: Yale University Press. Brown, S. R. (1996). Q methodology and qualitative research. Qualitative Health Research, 6, 561-567. doi: 10.1027/1614-2241/a000021. Brown, S. R. (1997). The History and Principles of Q methodology in Psychology and the Social Sciences. Department of Political Science, Kent State University, Kent, OH. Retrieved from: http://facstaff.uww.edu/cottlec/Qarchive/Bps.htm. Dziopa, F., & Ahern, K. (2011). A systematic literature review of the applications of Q-technique and its methodology. Methodology: European Journal of Research Methods for the Behavioral and Social Sciences, 7, 39-55. doi: 10.1027/1614-2241/a000021. Funder, D. C., & Colvin, C. R. (1988). Friends and strangers: Acquaintanceship, agreement, and the accuracy of personality judgment. Journal of Personality and Social Psychology, 55, 149-158. doi: 10.1037/0022-3514.55.1.149. Herrington, N., & Coogan, J. (2011). Q-methodology: An overview. Research in Secondary Teacher Education, 1, 24-28. Retrieved from: http://www.uel.ac.uk/wwwmedia/microsites/riste/Q-methdology-Article.pdf. ISSSS, International Society for the Scientific Study of Subjectivity. Available from http://qmethod.org/howto. Stephenson, W. (1953). Q-technique and its methodology, Chicago IL: The Univerisity of Chicago Press.